Not far from the cottage I mentioned in last week’s post sits a curious collection of tiny cabins, dotting a corner of the island. Belonging to a family for the last several decades, the compound has slowly expanded with each generation; deliberately, consciously. 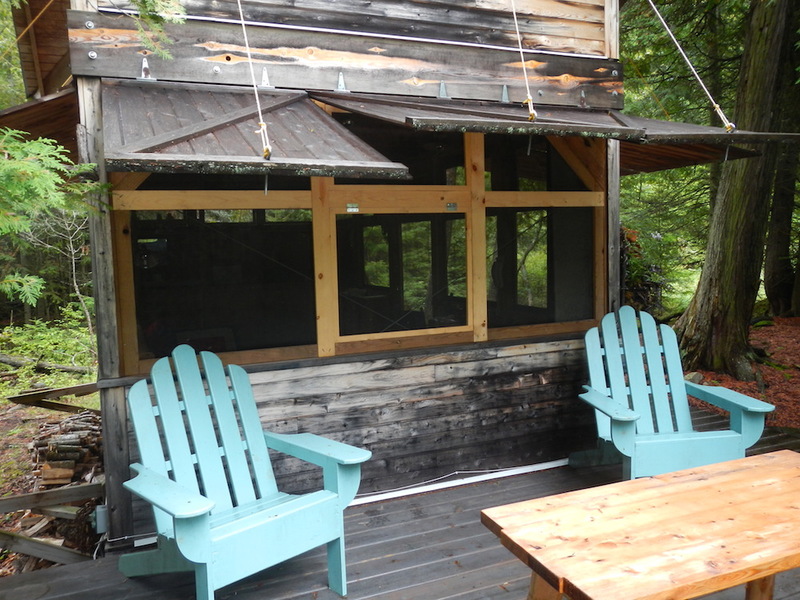 Each cabin is deftly designed and built by the hands of the family members – each of whom I’m told has been creating, designing, and building all manner of beautiful things for years. For the most part, each cabin serves a simple purpose – sleeping; cooking and dining; laundry and showering; taking a sauna. Generally large enough to hold a bed and a few pieces of furniture, they are rustically minimalist, but cozy and inviting. 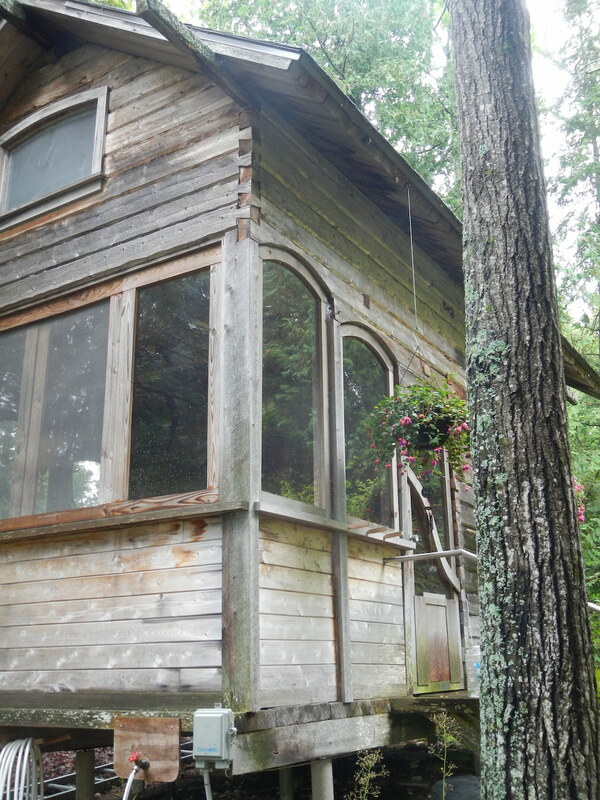 Each one looks toward the lake, maintaining quiet privacy from one another. Incidentally, I love the photo above – it’s a fair representation of the majority of photos taken by my mother. She’s a woman on the go if nothing else, and her snapshots often reflect this, however unfairly. To me, it’s perfect. 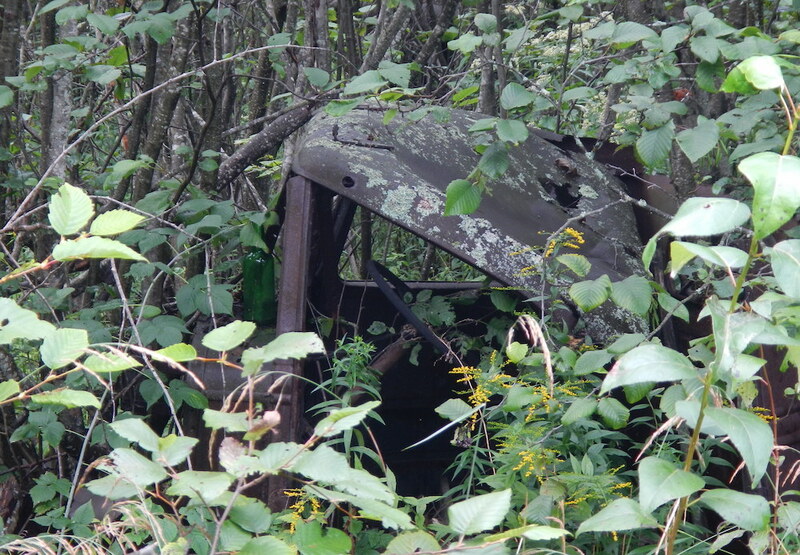 The one above was hard to spot from the trail – it’s been taken over by lichens and underbrush. During the winter, the trucks were driven to the island from the mainland on the ice. 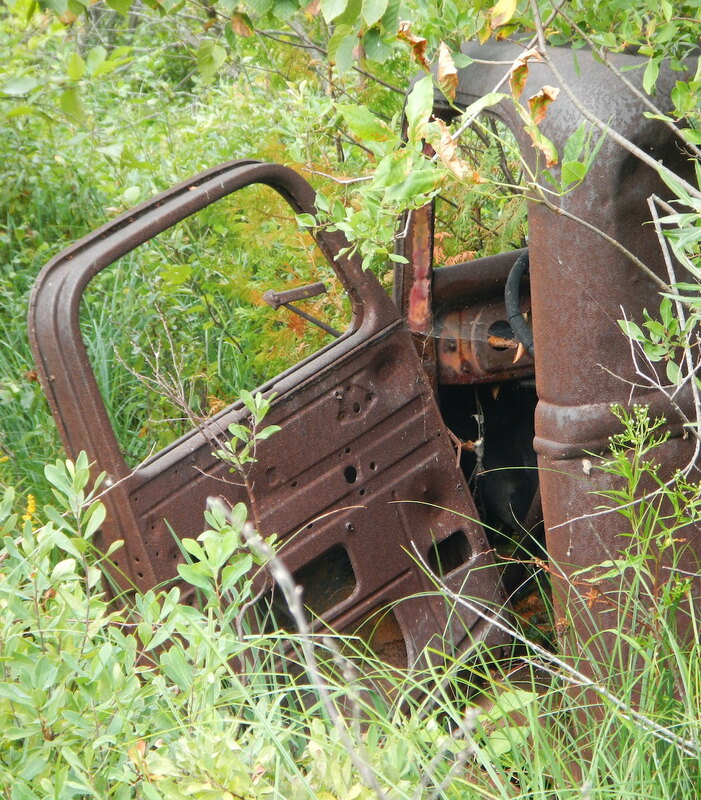 Come spring, everything thawed, and there the trucks sit. One day the ice is safe for driving, and the next day it’s not – just like that. 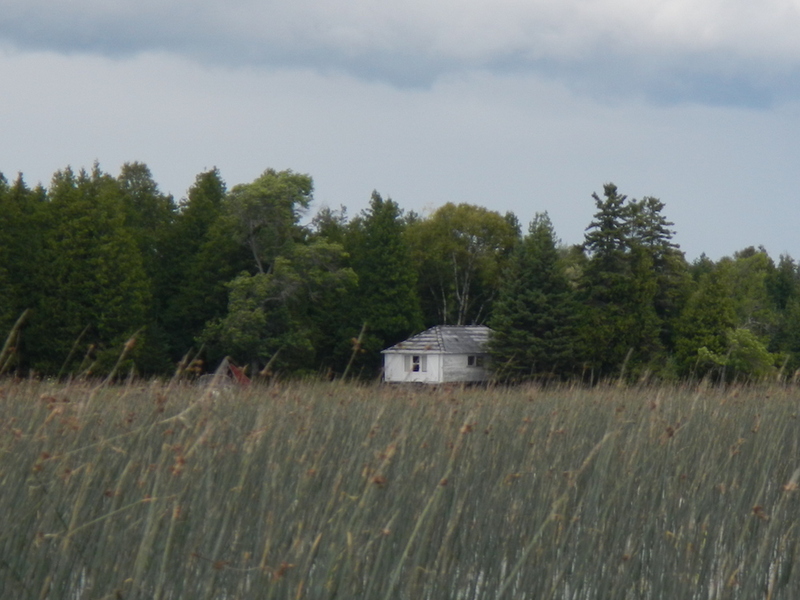 We passed this offbeat cottage while in the boat, and from afar it looked like it was floating among the reeds – closer up you could see it was on the shore, but barely. 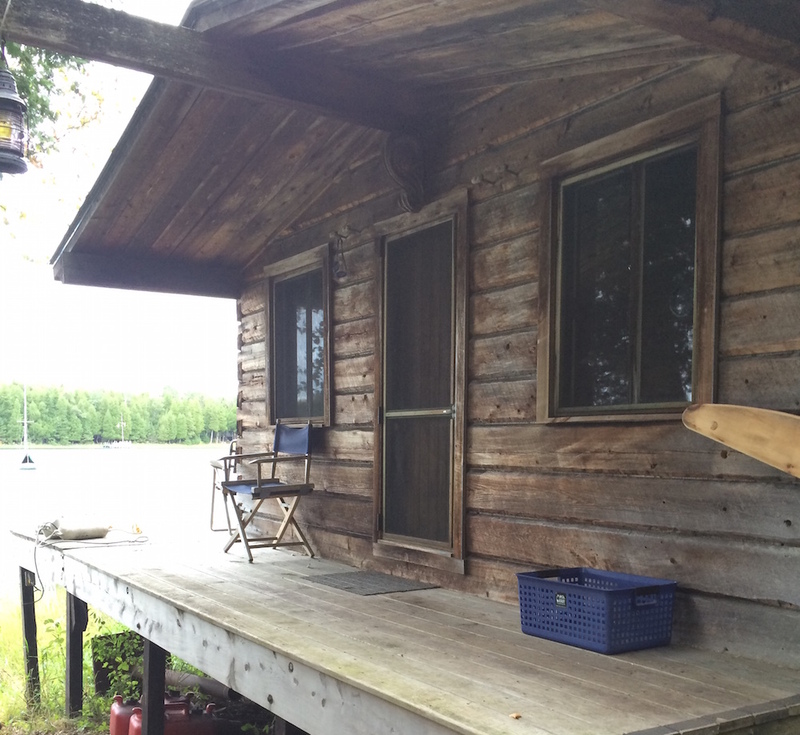 Now this is simple summer living – a small shed for wood, boat for transportation, and a little cabin for the essentials. 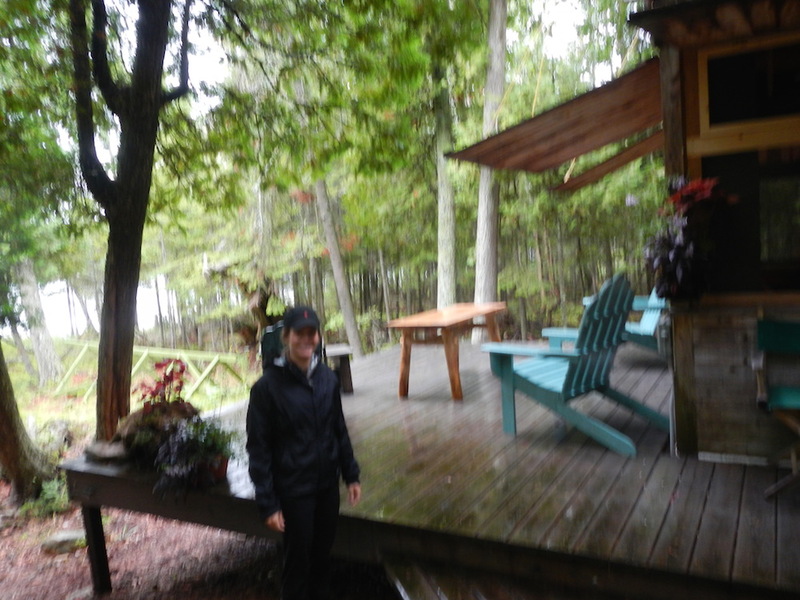 I met a few family members from the cabin compound, and they were warm and generous – if a little quirky. Highly educated, highly creative folks who live scattered across the globe making a living. They try to get back to their carefully curated wonderland whenever possible. 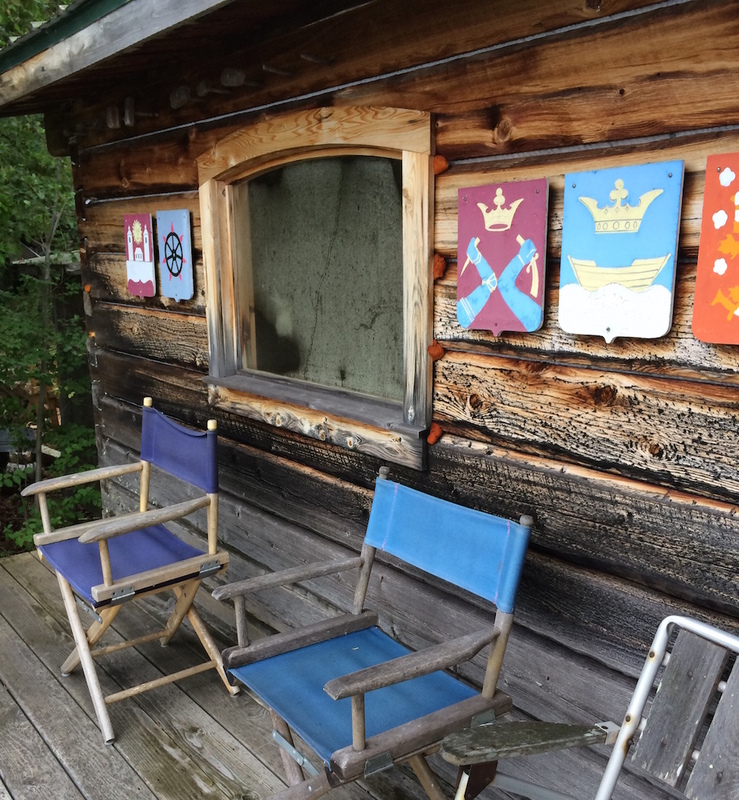 But seeing their cabins from the water, or stumbling upon the compound from a trail – one could cook up all manner of stories about the inhabitants. Back-woods weirdos? Gun-loving conservative hunters? Not in the slightest. 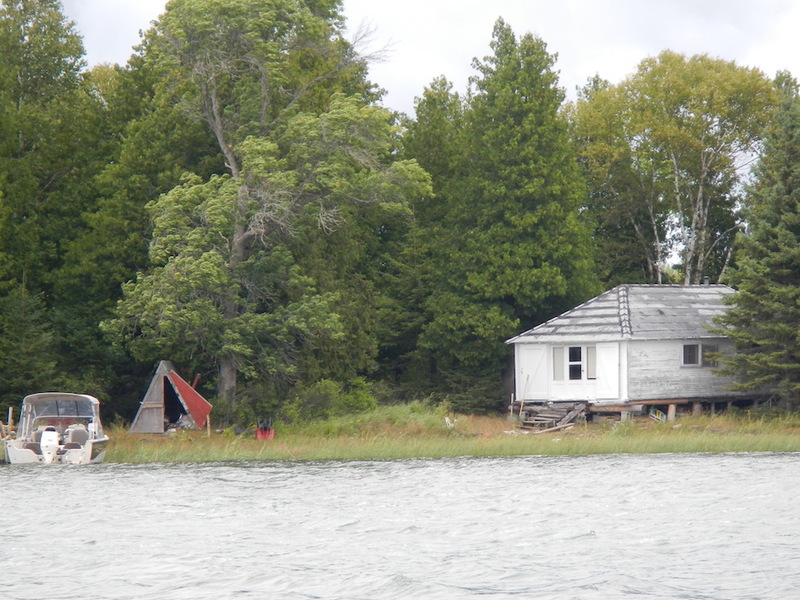 It makes me wonder about the folks living in the little white cabin on the shore – easy to concoct a tale of hard living and questionable choices, but I think that would be selling the whole thing short – too obvious. Eccentric millionaire, or best-selling author? Perhaps. That’s the thing, you just never know. Appreciation for the wilderness and the water takes all kinds.